One of the best and most concise systematics ever penned. The same level that Francis Turretin gives us in his massive 3 volume systematic theology, is equally revealed by William Ames and his one volume Systematics. Ames was a puritan’s puritan. He was quoted in colonial America more than Calvin and Luther combined. He was very influential in the shaping of puritan theology and doctrine. In this work, he sets forth in a unique style, systematic theology divided into two sections: Faith and Observance. Faith dealt with the more “systematic” ideas in parsing out theology, where observance explained the more pietistic nature of theology. Here Ames outlined all of theology and practice. He says “Theology is doctrine or teaching of living to God.” We then see the division of “doctrine and teaching” and then the “practical application” of this in book two under faith. It is said that anyone who has a bible and Ames’ work will be an able theologian of the Word of God. This is undoubtedly true. It is not that Ames explains every detail as with other Systematics, but that in his numbered and logical style, he sets forth main idea, main points, and attaches Scriptures to them, also explaining those scriptures briefly and concisely in their application of this thought. In a 352 page book, how could anyone cover such a wealth of material in systematic theology? Ames accomplishes this by his style. He expects the reader to be a thinker. That means everything is not minutely described, but he student of the book may use it as a detailed outline to further study and understand Ames’ teaching. 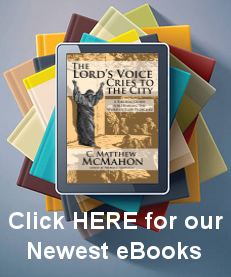 It is not that the book is a loose outline – it is a very detailed and explained outlines of theology. It is in paragraph form when Ames found it necessary to write longer on a given topic (which he does frequently) but is it also numbered in successive thought. Each number build and leads to the next. I found reading theology this way helpful and interesting, unlike some of the longer more repetitious theological books. The reader must be warned – Ames wants the reader to think. Without thinking his book is waste of time. But with thinking, the reader will glean mountains. It takes solemn meditation to understand and apply all he has said. The student of theology, after reading some of the basic theological works (like Berkhof’s Systematic Theology) ought then to acquire this book and read it through a few times. He will be a great theologian who takes up Ames and applies his teachings rightly. “Faith is the resting of the heart on God, the author of life and eternal salvation, so that we may be saved from all evil through Him and may follow all good.